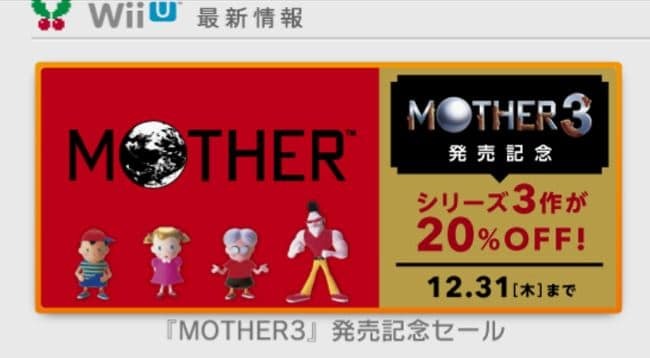 MOTHER 3 was just re-released on the Japanese Wii U Virtual Console, and to commemorate the event Nintendo has all three of the Japanese games on sale for a limited time. The MOTHER 3 Miiverse is also filled with lots of cool posts and drawings from Japanese fans. Fans outside of Japan have also taken to asking for a localized release elsewhere around the world. 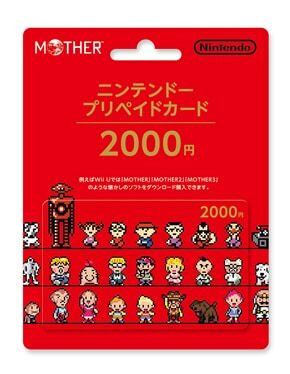 MOTHER series-themed Nintendo eShop cards have also been released in Japan. You can buy these at different stores around Japan, but I’m not sure if they’re available for import at any of the regular import shops. 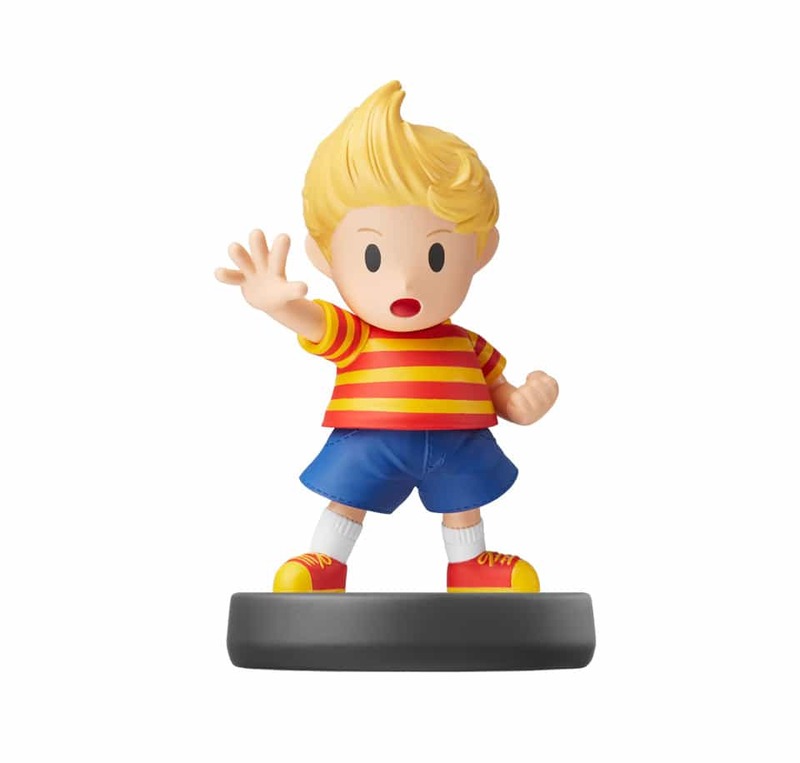 I believe the Lucas amiibo is also now available in Japan! We played through the first chapter, took a look at the release trailer, browsed through a bit of the MOTHER 3 Miiverse, shared a lot of fan art, and more. We also talked about the chances of an official release, as well as pogs and 90s fads. It was a pretty goofy, fun stream. Thanks to everyone who stopped by! It took many months after the initial announcement of Mother 2’s Japanese Wii U VC release for EarthBound to be announced for a western Wii U VC release. I hope that within a year we’ll see some kind of announcement from Nintendo that Mother 3 will make it overseas as well. I hope those Miiverse requests for a Western release work as well as they did for EarthBound’s eventual international release, in any case. Maybe it will take longer because Nintendo doesn’t have a canned translation of Mother 3 in English, and they might not want to use Mato’s fan translation, but it’s worth hoping for anyway, I think. Hell, I know a little Japanese, I wish they would stop region-locking things so I could buy the game at least in Japanese. And if they translated the game anew, I don’t think it could ever be as good as Mato’s. I feel hopeful, but I still think I’d cry tears of joy if it were to finally get released in English officially. It would tell a story about Nintendo catering to fans, but at the same time, why did it have to take so long for it to finally come to pass? 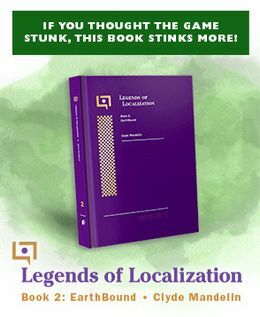 …Well, aside from the supposedly horrendous text programming making it hard to localize. But then, they actually went to the trouble for the first two games at least. My final thought: If it does come out, I wonder if they’ll call it Mother 3 or give it a different name or perhaps a subtitle. I think Mother 3 as a game/title is pretty well-known in America (infamous, even). But then, there are sure to be those who wouldn’t connect it to EarthBound at first. Well, that’s up to Nintendo’s marketing department, I guess! It’s pretty much of nitendo’s little crap they have. 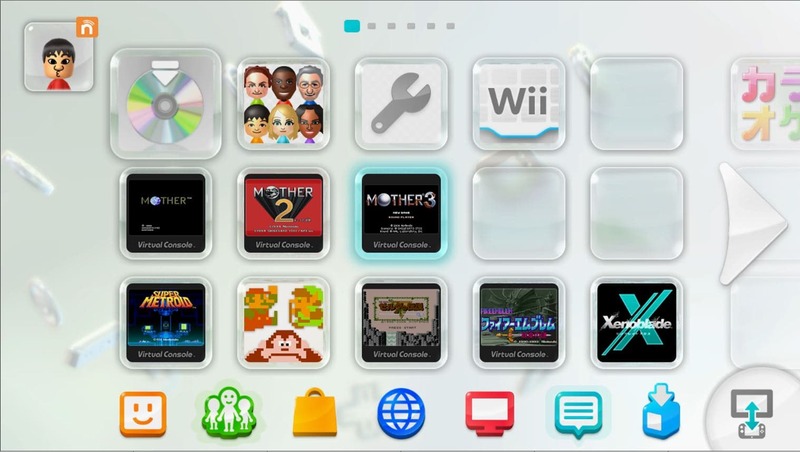 I would like it, but I need to beat Earthbound first. And buy Earthbound beginnings, too. 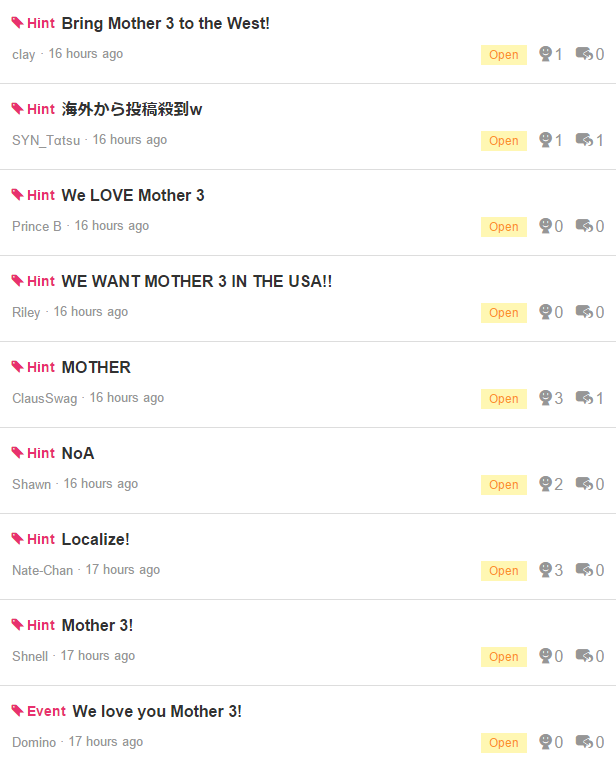 That is how I can wait for Mother 3’s international release..
What is with the lukewarm response to this? We are Mother fans are we not? This is our absolute LAST AND MOST VITAL CHANCE to make Mother 3 happen in the west. BOMBARD THIS. BOMBARD IT IMMEDIATELY. They KNEW this would happen when they succumbed to Mother 2 on VC. This is the exact same thing, and the ball’s in our court to make the scenario happen again. LET’S MAKE A PETITIO- Oh wait, that’s stupid. Uh, EVERYTHING EVERYONE ELSE SAID WE SHOULD DO!!! tell me those games above!